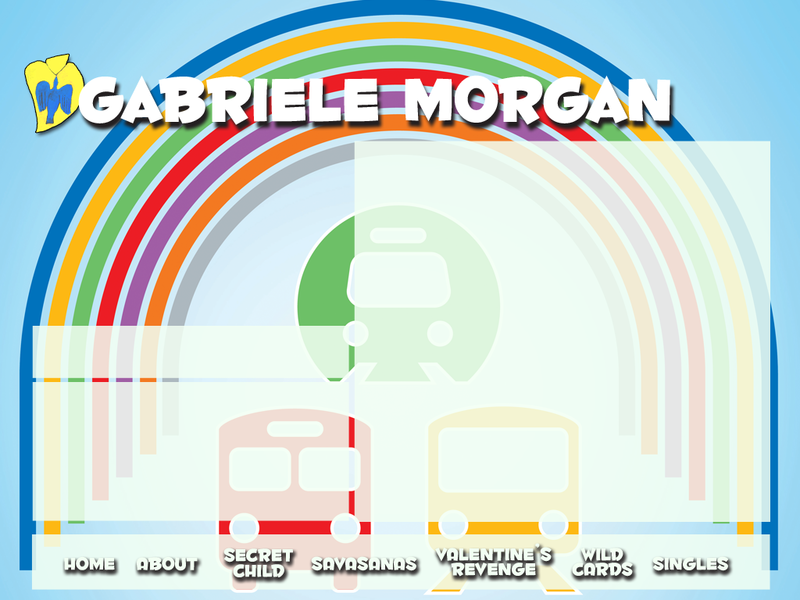 Gabriele Morgan Announces "LA's Got Lines"
Los Angeles singer and songwriter Gabriele Morgan has written and recorded a new work called "LA's Got Lines" to celebrate the Measure R-funded transit revolution unfolding in the Los Angeles County and surrounding areas. Featuring herself on lead vocal and the inimitable bass vocalist Charlie Davis of LA's renowned a capella Doo Wop group the Mighty Echoes doing baritone duties, the track was produced and recorded entirely by Gabriele in the waning days of 2011, in time to welcome the extensions of the Expo line coming in early 2012. It also features harmony vocals by Prohibition Pop- era band Doozy singers Christie Mellor and Doug Freeman, in keeping with the song's inspiration in the 19th Century spiritual Dry Bones, which was popularized in the 30's and 40's by many vocal groups. Gabriele Morgan has been performing, recording and singing in the Los Angeles area for some years and is well known for her work in two popular local bands, Doll Congress and Valentine's Revenge. Currently she has new releases of her solo work, collections of songs as well as the CD "Savasanas I – IV, Inner Time Music by Gabriele Morgan", which are widely available online via www.gabrielemorgan.com. "As someone who lives in the Santa Monica part of the county, I can't wait to be able to hop on the light rail and go places that are currently very difficult to get to in a car because the traffic is so heavy," says Gabriele. "I see the upcoming transit explosion as the equivalent of the removal of arterial blockage in a body and the way the blood can again circulate freely. In the same manner, money and energy will once again be able to move around the southland and bring life to parts of the region that have been cut off. It will revitalize our cities and we will witness a cultural and economic renaissance. Ride the rainbow on Metro!" If the Los Angeles transit system—both in its current and future states—has you scratching your head, Move LA somehow sensed your confusion and produced an edutaining video explaining "the lay of the lines" to the recognizable and catchy tune of "Dry Bones." A bouncing black ball guides viewers along with the lyrics, which detail the current and future light rail, subway and bus lines. The videomakers even threw in some trippy graphics to boot. Once all the colorful lines are drawn, L.A. definitely starts to look very nicely connected, doesn't it? LA’s Got Lines is making its way into other states which are seeking to create new transit funding based on LA’s template. LA's transportation funding innovation is setting an example for municipalities around the country who are seeking to emulate what we are doing. The video is making the rounds as part of Move LA's outreach to cities around the US to show them how it's being done. Even outside of the country there is great interest; Toronto, Canada is one such city outside the US which has met with Move LA to learn about how LA has been able to go from zero to warp speed in just a few short years. "LA County's new transit mojo put to music...Gabriele Morgan's lyric 'Ride the Rainbow' should be Southern California's slogan"